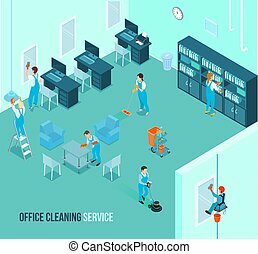 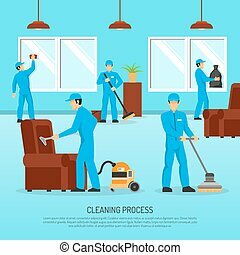 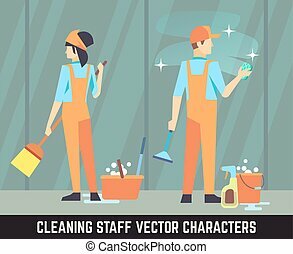 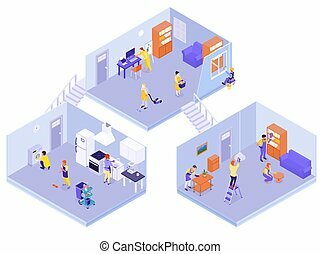 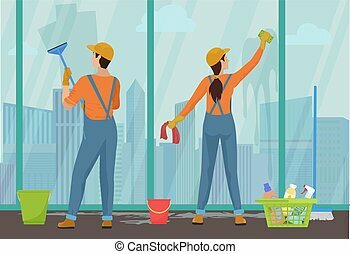 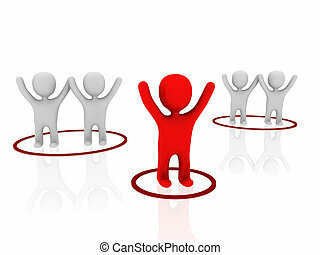 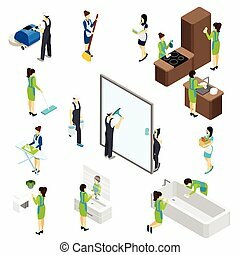 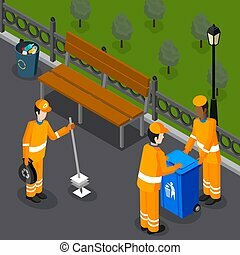 3d rendering illustration, cleaning team on white background. 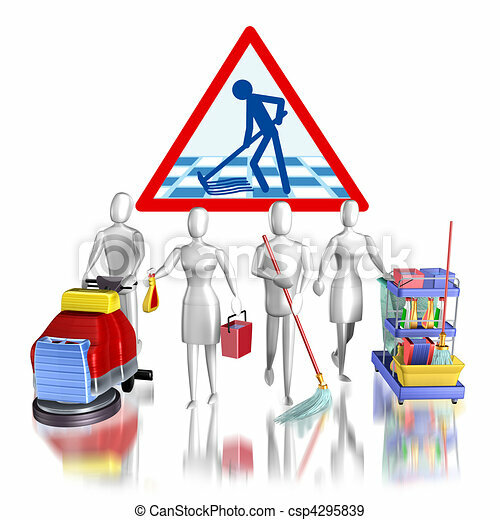 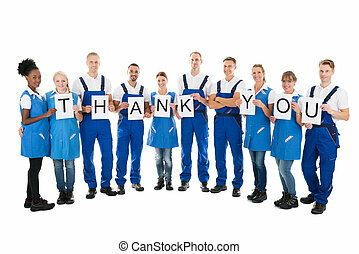 Professional cleaner man and woman with janitor cart. 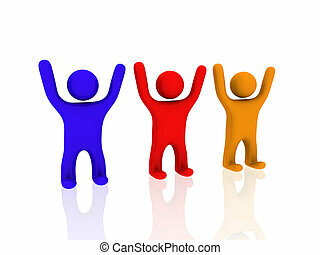 Isolated on white background..